He is that elegant man, who welcomes you with a smile once you arrive at the reception hall of SEKEMs head office. His attitude reminds you of the movie stars in the 1960’s: classy, decent and humble. This is Omar Lashien, reception manager of SEKEM Group and one of SEKEMs public figures – he is very well-known to all the employees. Besides receiving guests and facilitating the customer requests, Omar professionally orchestrates SEKEMs working environment. The reception manager fulfills the employees’ inquiries in regards to the common tasks by connecting the key persons. This needs knowing all the employees of SEKEMs different departments and understanding the duties of each one of them. “All the years I already worked at SEKEM helped me to be familiar to every situation. Yet, I still learn and develop every day,” says the SEKEM member who joined the initiative 24 years ago. At the reception hall of SEKEMs head office. Recently, the 58-years-old had to undergo an open-heart surgery. Hence, he had to take a three-month vacation from work to cure after the treatment. His absence was very obvious to all the employees. “I was fortuned with a lot of prayers and wishes sent from my colleagues at and from SEKEM founder Dr. Ibrahim Abouleish,” the devoted employee recalls. “Dr. Abouleish used to call me every day during my sick-leave to check on me. Some hours before the surgery, he even reassured me that the whole community were praying and sending their best wishes for my recovery,” he remembers full of love for the SEKEM founder. Before joining SEKEM, Omar Lashien had worked as a reception officer at the Chinese General Consulate in Alexandria governorate for three years and in many hotels. “I used to spend two or three years in every entity to acquire more skills through meeting different people,” Omar recounts. “But the situation is different at SEKEM; SEKEM has its own dynamics, which attracts different people from all over the world.” Through the past 24 years, Omar witnessed the SEKEMs development and met a wide variety of people, “which brought me new perspectives and a wide range of expertise,” he explains. In 1993, the present reception officer joined SEKEM as a data analyst at ATOS Pharma, SEKEMs company for phytopharmaceutical products. “In SEKEM I found what I was searching for,” says the reliable co-worker. 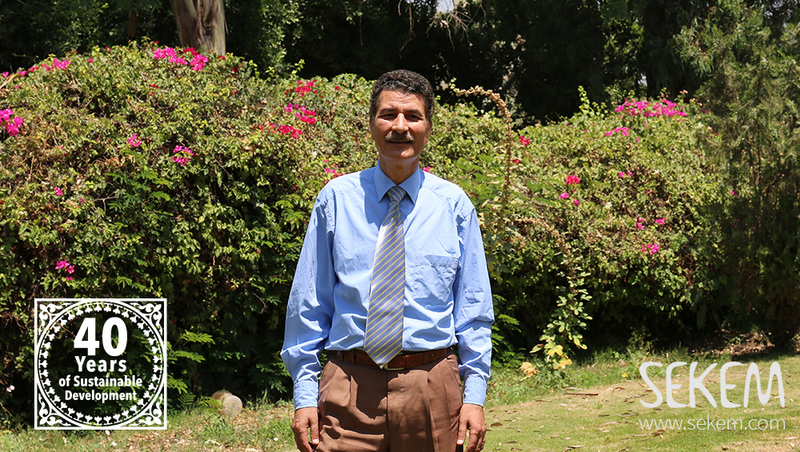 “Being part of an organization that truly concerns about the community development was one of my goals.” Omar Lashien precision and devotion attracted Dr. Ibrahim Abouleish, who urged him later to start his current occupation at SEKEM as reception manager. 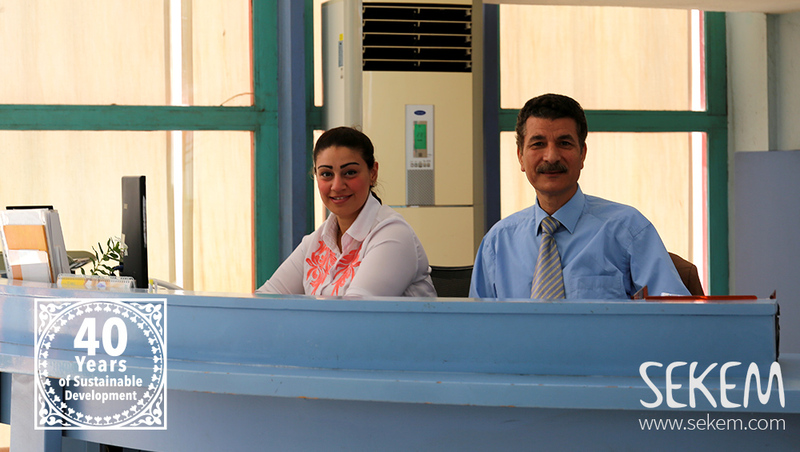 “When I first met Dr. Ibrahim Abouleish, he told me literally that I will grow old with SEKEM. And he was right,” Omar Lashien tells. The father of a son and a daughter is now a grandfather too and spent almost half of his life at SEKEM. 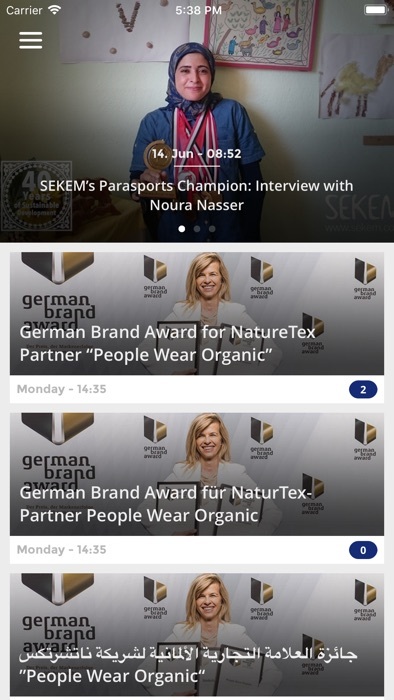 “I am looking forward to further development with SEKEM. We all should stick to the vision, which Dr. Abouleish planted 40 years ago. That’s for my grandson and all the children in the world, who deserve a better community with a better future,” concludes Omar full of trust. Get to know Hisham El Nagar! Get to know Salma Sabry!